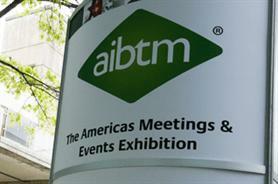 AIBTM has confirmed the attendance of 54 new exhibitors for this year's event, which takes place 19-21 June in Baltimore. Around 33% of exhibitors at this year’s show are new to the event, according to organiser Reed Exhibitions. Graeme Barnett, event director at Reed, said: "As we get closer to AIBTM 2012 in June, we’re absolutely delighted with the demand we have had from all over the world." AIBTM, which made its debut last year, said that approximately 67% of exhibitors that are currently signed up are returning from last year. Of those, 26% have increased their floor space.